Holiday Inn lahore is best option for mediam size conferences also. It also offer wedding packages and special rateas are available for groups and long staying guests. We have very special rates with holiday Inn Lahore please feel free to contact us for any particular requirement. All Government taxes, Breakfast, Welcome drinks, Newspaper, Internet facility (Data Port and WI-FI) in Public areas as well & Airport pickup & Drop. Cancellation Terms and conditions:- Rooms Must be canceled 48 hours in advance. 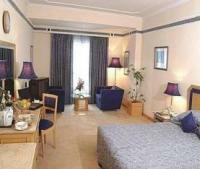 Holiday Inn Lahore in Lahore, offers above rates only to Hunza tours. The online reservation payment must be made to Hunza tours not the hotel. Book your events, Meetings, Conferences Marriage parties at Holiday Inn Lahore or any other hotel in Lahore please feel free to email us we will offer you the best possible rates and perfect arrangements to suit your events.